Aluminium Composite Material (ACM) consists of a polyethylene core sandwiched between two skins of aluminium. Though the product is renowned for its dimensional stability under extremes of temperature, considerations must be made for the type of mounting adhesive to be used as ‘read through’ can occur. When tape isn’t the solution, or bonding ACM to a rougher surface is required or where you may need the installation to breathe, care must be taken in the selection of the adhesive regarding the thermal expansion of the materials to be joined. In applications where thermal expansion can occur, the adhesive should allow for movement without shear or loss of bond. 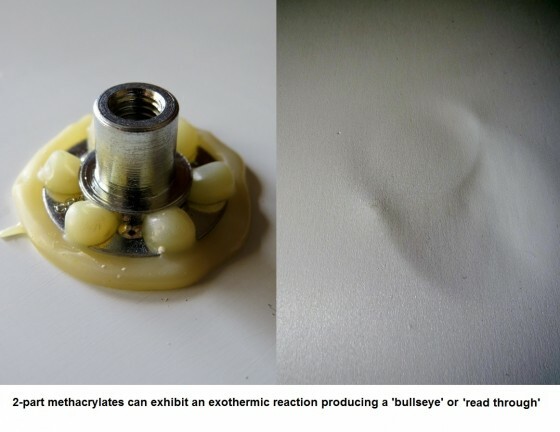 Additionally, heat generated during the chemical reaction of the curing process, together with the different expansion properties of the materials, may result in deformation of the laminates or ‘read though’. Where minimal ‘read through’ is a primary factor, a flexible polyurethane adhesive such as NovaWeld SignFix 33 should be selected. 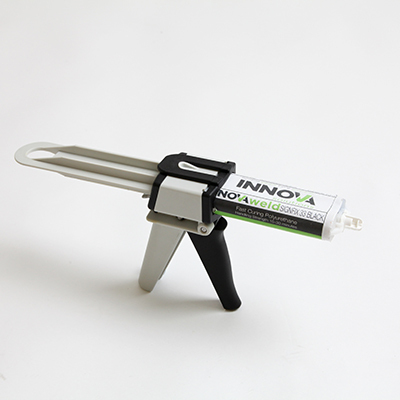 NovaWeld SignFix 33 withstands temperature fluctuations proven at -40c to 250C, requiring a low cure temperature and generating a low exothermic (heat generating) reaction for bonding process. Consequently, NovaWeld SignFix 33 builds a durable, versatile structural bond without leaving witness marks or distortions on the aesthetic sign face. Please review installation instructions at NovaWeld SignFix 33 or please contact us at enquiries@innovasolutions.co.uk for further information.